Our office team consists of 6 people working both full and part time in Cape Town, supporting 8 principal tour leaders, a further 5 guides around Cape Town, 3 specialist leaders further afield, and 8 guides with our sister company Cape Town Pelagics. 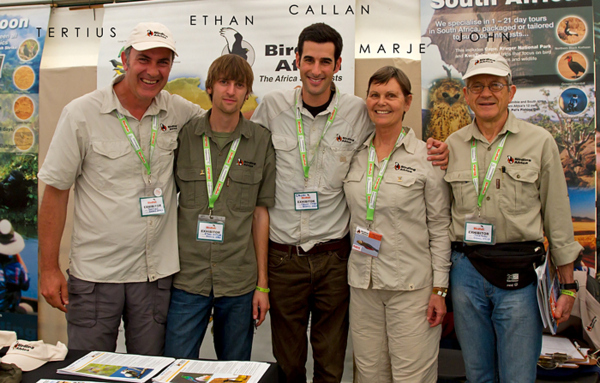 Tertius, Ethan, Callan, Marje and Jon at the British Birdwatching Fair in August 2014. Callan has had a life-long dedication to birds and founded Birding Africa when he was still a university student. Since then, he has led over 100 tours and expeditions to 23 African countries, both for Birding Africa and British and American bird tour companies. Callan has acted as a consultant for the BBC Natural History Unit and has even shown Bill Oddie some of the birds around Cape Town! Callan has spent much of his life traveling to the remotest parts of Africa in search of birds, with his highlights being finding Congo Peafowl after 17 days on foot and canoe in Africa's largest rainforest, Warsangli Linnets in the Daalloo mountains of Somalia, and rediscovering Namuli Apalis in Mozambique, not seen since it was described to science in 1932. He has co-authored two birding books, including the Southern African Birdfinder, a guide to finding over 1400 species in the southern third of Africa and Madagascar (and was once the youngest person to have seen a landmark 800 species in southern Africa, a few years ago now!). 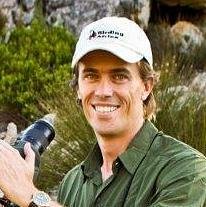 Callan has served on the Birdlife South Africa Council as Chairman of the Cape Bird Club, and chaired the Western Cape Rarities Committee. 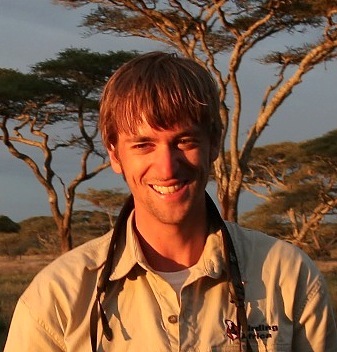 Callan is also a research associate of the Percy FitzPatrick Institute of Ornithology at the University of Cape Town, where he completed his doctorate on the evolution of African desert birds in collaboration with the University of California, Berkeley. Some of his scientific publications are listed here. However, he's also a dedicated natural historian and has a passion for all things natural, including flora & trees, dragonflies, butterflies, mammals, frogs, reptiles, etc! Marje loves to combine travel and birding, and together with her husband Jon, has birded on all 7 continents! She has lived in Southern, North and East Africa and brings a wealth of experience to our offices to make birding trips across the continent run smoothly. Previously, she worked on producing natural history books at Struik Publishers and was the production manager at Getaway travel magazine. Marje is an extremely active person, and has cycled the Cape Argus Cycle Tour over 30 times - a woman's record achievement! Priscilla became absolutely enthralled with birds after a camping trip in the Okavango Delta. She is now an avid birder and loves going out with the Cape Bird Club, our local branch of Birdlife South Africa. 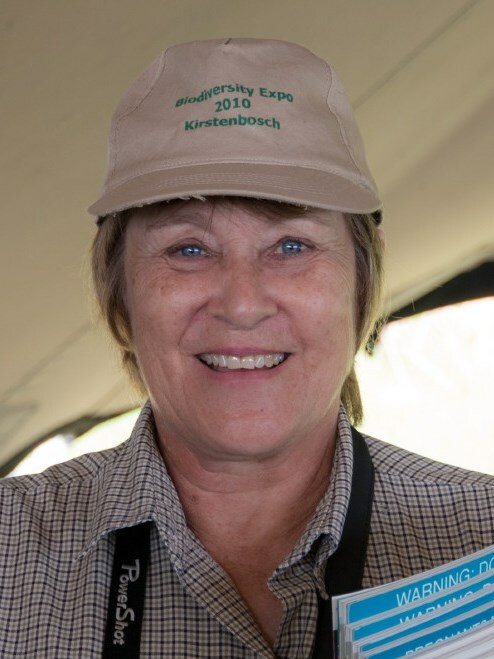 Sheâ€™s a natural organiser and has served on the Cape Bird Club committee for almost 10 years and is currently the chairperson! Priscilla is a retired English teacher / school librarian and ran the schoolâ€™s Eco Schools programme, arranging many environmental, educational and outdoor activities for the pupils, many of which, of course, including birding. Amanda grew up in Cape Town, spending much time outdoors with parents who took the family on birding and safari adventures in Southern Africa. She gained a further appreciation for natural history taking Zoology and Botany in first year B.Sc. before focusing her studies on Microbiology and Biochemistry. A registered tour guide, she combines her knowledge of birding and ecotourism to organise our tours around Cape Town and further afield. She's been the Operations Manager of Cape Town Pelagics for over 8 years and has successfully organised dozens of pelagic trips, quite an achievement in one of the windiest places on earth! Amanda is a keen hiker and cyclist and has represented South Africa in international cycling competitions. 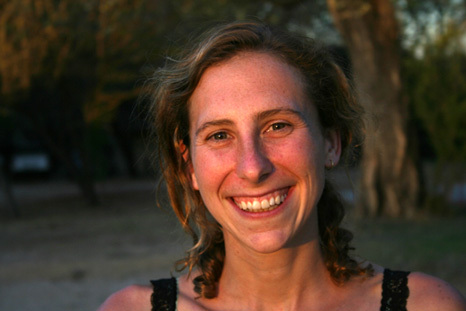 Deirdre lives in Cape Town, where she guides and organises primate and mammal-focussed tours in Madagascar (the lemurs are a strong favourite), Uganda (gorillas, chimpanzees and other primates) and Tanzania (big cats and wildebeest migration). Her previous work in conservation ecology and primatology led her to study Water Buffalo in India, Pronghorn Antelopes in Montana, African Elephants and Painted Hunting Dogs in Africa, as well as our closest living relatives, Bonobos, in the jungles of the Congo. She holds M.Sc. degrees in Ecology from the Brussels Free University and the University of California at Davis. 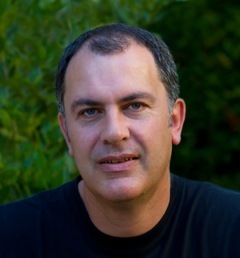 Michael Mills grew up "in the bush" in the Kalahari and Kruger National Parks where his parents were carnivore researchers. Michael's incredible focus, dedication and ability to locate and show people Africa's toughest birds is probably unequalled on the continent. He has led dozens of tours in Southern, East, Central, West and North Africa and his experience in locating birds on just the softest of calls or briefest of views impresses those who have travelled with him (see Client Comments). There is seldom a tour where he doesn't make an interesting discovery such as finding a new species for a country or record an undescribed bird call (and he has published these in the scientific literature). Not only is Michael one of our principal leaders, but he also helps extensively with scouting and planning our most challenging itineraries. Michael has a Masters degree in Conservation Biology and also runs a bird and forest conservation project in Angola. Michael has birded extensively in Australia, Asia, South America and Antarctica, but says he always finds Africa more exciting and rewarding. Tertius grew up in the bushveld in South Africa has birded widely across Africa. He now leads tours for Birding Africa in South Africa, Uganda, Namibia and the Okavango, Ethiopia, Tanzania, Zambia and Madagascar. Besides birds, Tertius has a broad interest in all wildlife, especially mammals. He is trained as a vet and volunteers his special skills for penguin conservation, and has travelled all the way to Tristan du Cunha to help save oiled penguins there. He is also an accomplished and well-known bird photographer who has that rare balance between showing people good birds and sharing his photographic insights. He also our only guide to have shown clients both Green-breasted and African Pittas in one year! 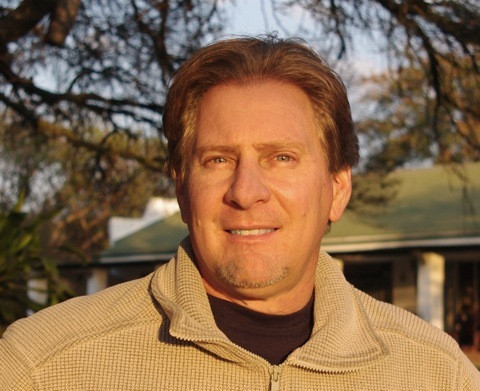 Joe grew up in northern South Africa and since a very young age showed a great passion for the natural environment around him, and has been leading bird and wildlife tours for over 20 years now. He is an exceptional birder and his team has set the record of over 300 bird species recorded in one day around his home town in South Africa. He is based in the Limpopo Province, were he has been instrumental in establishing birding routes, bird clubs and birding sites. Joe is qualified in conservation and wildlife management and has a Masters in ornithology. Joe has been involved in a vast array of wildlife related activities ranging from field research in the Kruger National Park, game capture and translocation, field guide training, management of large private game reserves and environmental management for local government. Alastair has been attached to binoculars since the age of 10 and things do not appear to be changing soon. His wide-ranging interest in the natural world has developed whilst growing up on a farm in the Western Cape, and over the past 13 years living and working in the African bushveld from the Serengeti to the lowveld near the Kruger National Park. He is not only an experienced and knowledgeable guide, but has also managed a guide training school, as well as a number of safari lodges and private game reserves over the last 7 years. Birding highlights are too numerous to mention, but in Africa, finding the first African Pitta for the Serengeti whilst trying to track a leopard must rank close to the top! 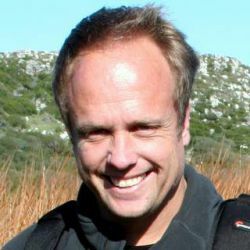 Alastair has been an active atlasser with the Tanzanian bird atlas and the current South African SABAP2 project. He rates patience, persistence and an appreciation for the natural world as key to great birding. He has birded in the Americas, Europe and India. He currently leads bird and mammal tours throughout Africa, and while he is home in the Cape writing and looking after kids, he takes every opportunity to guide day trips and longer tours around Cape Town to show interested birders some of the trickier Cape endemics. Dalton Gibbs has long been a key person in the City of Cape Town's Nature Conservation and his various responsibilities have included running Rondevlei Nature Reserve, monitoring critically endangered flora, assessing biodiversity of reserves, monitoring bird breeding colonies and chasing down escaped hippos - which regularly graze on his lawn at night at his home on the edge of Rondevlei Nature Reserve! Dalton leads our tours across South Africa, Namibia and Tanzania, and has been leading Cape Town Pelagics trips for many years. Besides his birding skills, Dalton is a well-rounded naturalist with a deep interest in all aspects of ecology -- and history if you get him started! Birding has been a major passion of Seth's since a young age. He has lived in both Namibia and South Africa and has birded widely in these countries as well as in Kenya, India and Ecuador. Seth has been working with Birding Africa for 5 years, initially helping in the office, then guiding around Cape Town, and now leads tours across the whole of South Africa. He also guides for Cape Town Pelagics, and his pelagic experience includes two-and-a-half months of seabird surveys to the Southern Ocean and Antarctica. Seth loves all natural history and has also studied the Cape flora. He's in the final stages of a master's degree at the University of Cape Town, investigating the evolution of the Succulent Karoo flora. Campbell's interest in birds was sparked at the tender age of seven after seeing his first Lammergeier soaring above the majestic Drakensberg, and he has now birded across the whole country. Some of his best garden birds in Cape Town have included Knysna Warbler and Buff-spotted Flufftail. Campbell was a volunteer for Birding Africa for the 350 bird species photographed in one day project - see 350.birdingafrica.com. In addition to birding, he has studied biology at the University of Cape Town and his interests include hiking, photography, sport, and traveling. Brenden Pienaar has always experienced a special magnetism towards natural spaces and their ecological functioning. Consequently, he has made a conscious effort to gain as much experience and understanding of these complex systems over the past thirteen years to better equip him for a life dedicated to their conservation and management. He started with a National Diploma in Nature Conservation, which included an all important experiential year's placement in the world famous Kruger National Park. It was during this time that Brenden completed (separately) the Field Guides Association of Southern Africa's (FGASA) qualifications that would allow him to conduct primitive multi-day trails in potentially dangerous game areas. 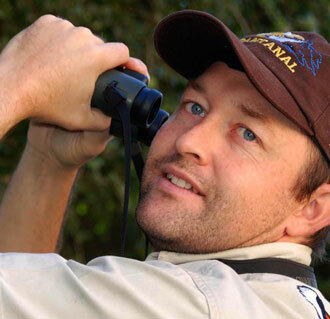 Ten years down the line, Brenden is a passionate bird and nature guide based in the greater Kruger National Park. Equipped with a SKS (Special Knowledge and Skills) Savanna Birding qualification and an MSc degree in ecology, his calm nature and ability to interpret the inter-connectedness of the natural environment makes him a popular tour leader. Cliff is fast developing a reputation as one of the top seabird guides in South Africa and regularly leads our pelagic trips from Cape Town. Cliff works for the City of Cape Town Nature Conservation and has been instrumental in securing new protected areas full of endangered plants and animals. He even found South Africa's first Snowy Egret near one of the reserves where he was working. Cliff is a very well-rounded naturalist and his interests range from amaryllid flora to snakes, and Cliff and his wife Suretha are among a small group of people ever to have found the beautiful Fisk's House Snake. He has birded across Africa and has co-led a Birding Africa tour to Cameroon. 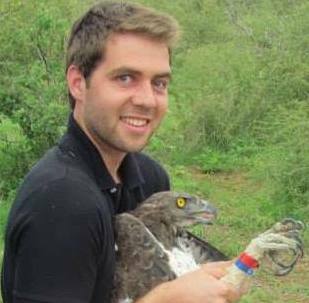 Growing up in Cape Town, Vince started his birding career as a seabird scientist, while obtaining a Bsc in Zoology and Physiology. He lived on several seabird islands, and joined a survey trip to Sub-Antarctic Marion Island. 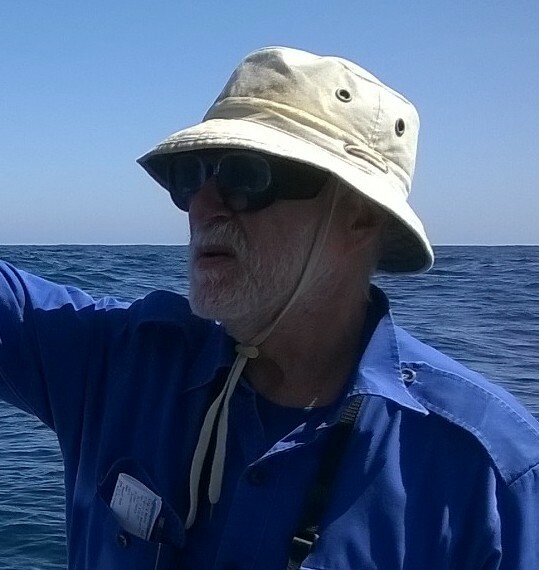 A long time pelagic seabird guide, he has guided more than 100 trips off Cape Town and California. During one of our trips he recorded one of the few sightings of Grey-backed Storm Petrel in South Africa. Not limited to seabirds, he has a keen interest in the African canaries and serins (especially Cape Siskins), publishing several scientific articles on the group. He is also a keen citizen scientist and highly experienced bird ringer/bander. While living in California, he extensively birded the Western US and the Rocky Mountains. His travels have included birding in Hawaii, the UK and Eastern Canada. 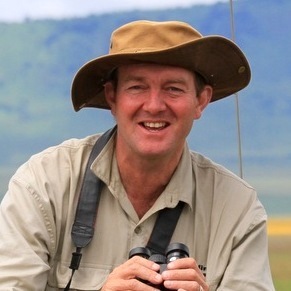 He has lead terrestrial birding trips within the Western Cape, around Southern Africa and to Ethiopia. Vince is a self-confessed twitcher and his Southern African list is fast approaching 850 species. Nick grew up in Johannesburg and developed a passion for the natural world after numerous family trips to nature reserves in Mpumulanga and the Kruger National Park. The huge variety of lowveld birds opened his eyes to the wonderful world of birds and this has subsequently resulted in him pursuing a career focused on the conservation of the natural world. Nick completed his undergraduate degree in zoology and ecology at UCT and then did further studies (Honours in Botany and Masters in Environmental Law) also at UCT. Nick is also involved in research on urban raptors with the FitzPatrick Institute. At the start of 2015 Nick embarked on 6 months of travel through South America and Antarctica where he pursued a number of iconic bird and mammal species. Upon returning to South Africa he joined Birding Africa where he now specialises in pelagic and day trips around Cape Town. Andrew comes from a family passionate about nature and the outdoors, and was brought up with a bird book at his side. What was a passing interest in childhood has grown into an academic career trajectory, with Andrew having completed his undergraduate studies at the University of Cape Town (UCT) in 2013, majoring in Applied Biology and Ecology & Evolution. Andrew's Honours year saw him working on Spotted Hyenas in northern KwaZulu-Natal, before leading a research project for 4 months investigating the importance of birding tourism to national parks around South Africa. 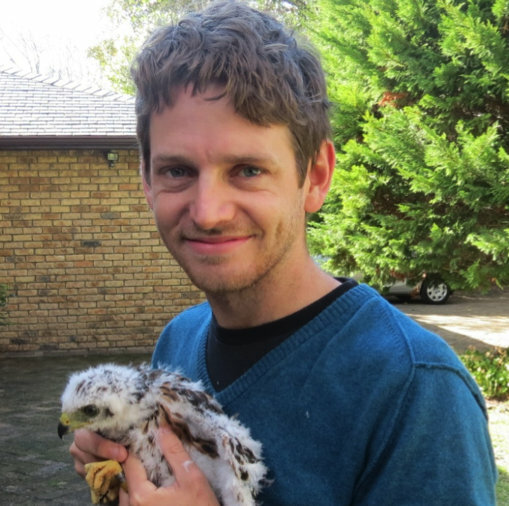 In 2015 Andrew began his Masters degree through the Percy FitzPatrick Institute of African Ornithology at UCT, looking at the disturbance effects of boat-based tourism on the waterbirds of the Ramsar-designated De Hoop Vlei. While undergoing fieldwork Andrew has recorded in excess of 200 birds on the reserve, one of the most complete bird lists available for the area. Andrew is passionate about sharing South Africa's biodiversity with everyone he meets, and is currently studying part-time towards his FGASA Level 1 Nature Guide course. His ultimate bird moment was assisting with the fitment of a GPS-tracking unit to a majestic Martial Eagle in Kruger National Park. Andrew founded the UCT Birding Club along with Birding Africa guides Seth Musker and Campbell Fleming, and was elected chairperson for its inaugural year in 2016. Andrew now works for Birdlife South Africa, but still manages to guide for us in his spare time. Mayur has always had a deep passion for the natural world, especially birds. He grew up in Cape Town where he became familiar with the Western Cape's avifauna but longed to travel further afield to find new species. Since then he has birded the rest of South Africa as well as India, Thailand and Uganda. His love of birds prompted him to delve into photography which remains one of his major interests. Mayur is currently studying desiccation tolerance in resurrection plants at the Molecular Biology department of the University of Cape Town and escapes to bird around South Africa whenever time permits. Otto's interest in natural history and birding was encouraged from an early age by his parents and school holidays were often spent in the Kruger National Park and the KwaZulu-Natal parks. His father Rudolf was Cape Bird Club vice-chairman and newsletter editor for many years, roles Otto has continued that tradition, being both both chairman of the Cape Bird Club for 10 years and editing the club's Promerops newsletter for even longer! His southern African species list stands at over 700 and he enjoys bird photography. His birding trips in Africa have included Ghana, Tanzania, Kenya, Malawi, Zambia, Botswana, Namibia and Madagascar. Japie has been birding for more than 30 years around his Karoo home area, where he has become the specialist in finding endemics from the spectacular bustards to the cryptic larks. He lives in Beaufort West which is well-situated for birding the Karoo National Park and surrounding areas. He has seen over 750 species in southern Africa while leading birding trips to all parts of South Africa, Namibia and Botswana over the last 10 years. 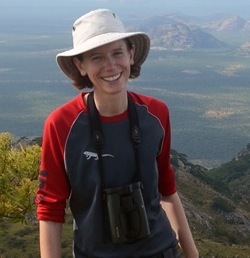 Cape Town-born Claire is a co-founder of Birding Africa and is currently based for half the year in Cambridge where she completed her doctorate and now pursues her academic career: read about her amazing discoveries here: www.africancuckoos.com. Birding is still a major passion for Claire and she leads expeditions to remotes places in Africa including Mozambique, Ethiopia and Zambia. She has co-authored three books on birding in Africa, including the Southern African Birdfinder, a guide to finding over 1400 species in the southern third of Africa and Madagascar, and Where to Watch Birds in Ethiopia. Rob has spent more days at sea observing seabirds in the Southern Oceans than just about anyone (well over 1000)! He has worked as a fisheries research scientist for decades and is also very interested in cetaceans. Rob recently found one of the only records of Grey-backed Storm Petrel in South Africa on one of our trips. Rob has birded widely in Africa and internationally. A veteran Cape Town sport fisherman, also hooked on birds. Alvin has decades experience of Cape pelagic birding and is a very popular guide. Alvin has birded widely in Africa. Jess is originally from New Delhi, India, but as the daughter of a diplomat, she has spent much of her life travelling the world. As a result of spending her formative years in places like India and Tanzania, Jess developed an early passion for wildlife and nature conservation. Jess finished her schooling in Johannesburg while her family was posted there and decided South Africa was the place for her (this was also when she discovered a hidden passion for birds!). She has been living in Cape Town ever since, pursuing her studies in ecology and environmental science at UCT. She has just obtained a Masters degree in Conservation Biology from the Percy Fitzpatrick Institute of African Ornithology where she studied the effects of urbanisation on Cape Townâ€™s Black Sparrowhawk population. Jess is currently preparing to start her PhD, where she will compare patterns and drivers of urban bird diversity between South Africa and Australia. In the meantime, she continues to assist with the monitoring and ringing of Black Sparrowhawks and manages the social media accounts of a few different organisations. We're still in shock following the tragic death of our friend Barrie Rose on 30 December 2016. The southern oceans have lost one of their most knowledgeable conservationists, and his incredible sharing of knowledge will be missed. 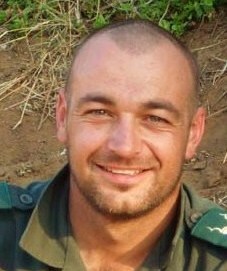 Barrie died after slipping from the sea cliffs near Cape Point while angling with some of his closest friends. A more detailed tribute is linked here. Barrie is famous as the most experienced pelagic birder in Cape Town who has added tremendously to our knowledge of rare seabirds off South Africa. Born and bred Capetonian, Barrie's deep interest in nature started with his grandfather Walter Rose, a pioneering herpetologist after whom the endemic Table Mountain Ghost Frog (Heleophryne rosei) is named. Land birds and pelagic seabirds, the region's mammals, reptiles and frogs absorbed Barrie's fascination and led him to explore unsual places in Africa (Equatorial Guinea, Socotra and sub-Antarctic Islands), South America, Asia, the Antipodes and Antarctica. Barrie's observations of dwindling seabird populations, while he worked at Marine and Coastal Management and I & J Fishing, led him to institute changes that reduce the impacts of fisheries on seabirds. 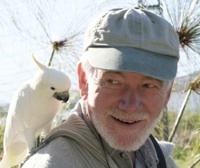 He consulted for the seabird portion of Sasol Birds of Southern Africa, the 'Seasonal Table for Seabirds' in Essential Birding and the Southern African Birdfinder, and the South African Rareties Committee for over ten years. Barry was a talented photographer (but a birder first and foremost) and guided for local and international birding companies for over 30 years. Barrie monitored conservation compliance in international fishing vessels and regularly led trips for Cape Town Pelagics and Birding Africa.